Happy Friday! This week brought us to St. Patrick’s Day. While everyone knows about the Blarney Stone and shamrocks, many are not familiar with who Patrick really was. If you do not know his rather fascinating story, you can find it in his own words at the following link: http://www.gutenberg.org/files/18482/18482-h/18482-h.htm#chap01. Although I am not Irish, I could not resist rounding up some leprechaun jokes for you this week. What do you get when you cross poison ivy with a four-leaf clover? A rash of good luck. Why can’t you borrow money from a leprechaun? Because they’re always a little short. Why don’t you iron 4-Leaf clovers? Because you don’t want to press your luck. What did the leprechaun do for a living? He was a short-order cook. Why did St. Patrick drive all the snakes out of Ireland? He couldn’t afford plane fare. Where would you find a leprechaun baseball team? In the Little League, at Shortstop! What do you call a leprechaun’s vacation home? A lepre-condo! 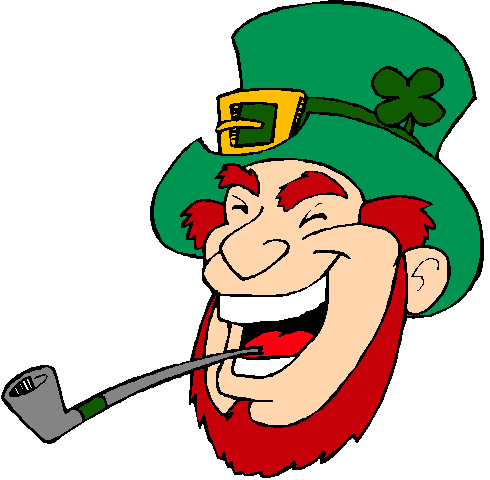 What do you call a leprechaun with a sore throat? A streprechaun! What would you get if you crossed a leprechaun with a seashell? A lepre-conch! What do you call a leprechaun who disappears? A lepre-gone! What would you get if you crossed a leprechaun with a yellow vegetable? Lepre-corn! This entry was posted in Friday Funny, Humor and tagged Leprechaun Jokes on March 17, 2016 by Leonard.